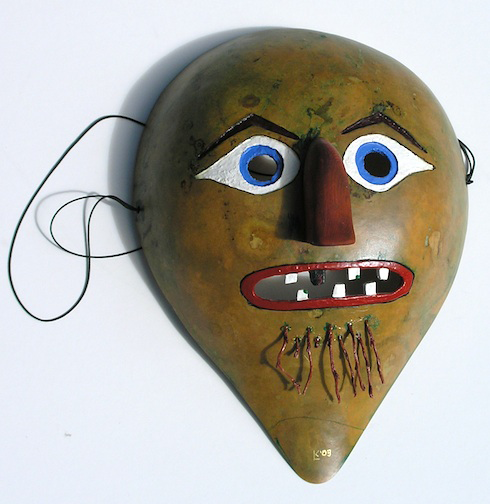 AHOB friend (who's known Tucker since the day Tucker was born) Ken Layne fabricates these whimsical and fascinating masks out of gourds. You can use them as a decoration or, as is much more practical, wear them at certain points throughout the day. They may not look it but the word is that they are suprisingly comfortable to wear. Who knows, maybe it's a whole new you? 100% of the proceeds go to help pay for Tucker's healthcare. size: 9" x 12" x 3"